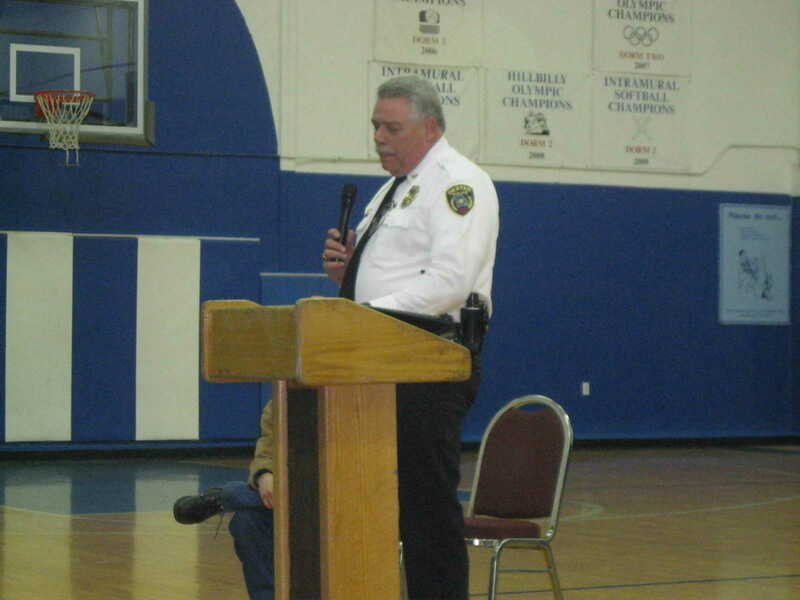 Dexter Police Chief, Sammy Stone addressing over 230 students at Mingo Job Corps Groundhog Job Shadow student assembly. 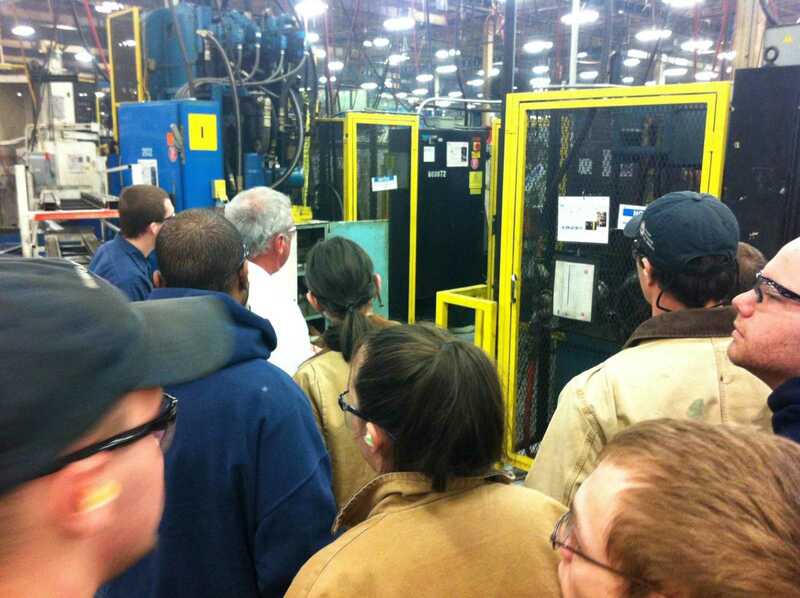 Mark Fulkerson with Faurecia demonstrating some of the high tech equipment used in today's manufacturing. 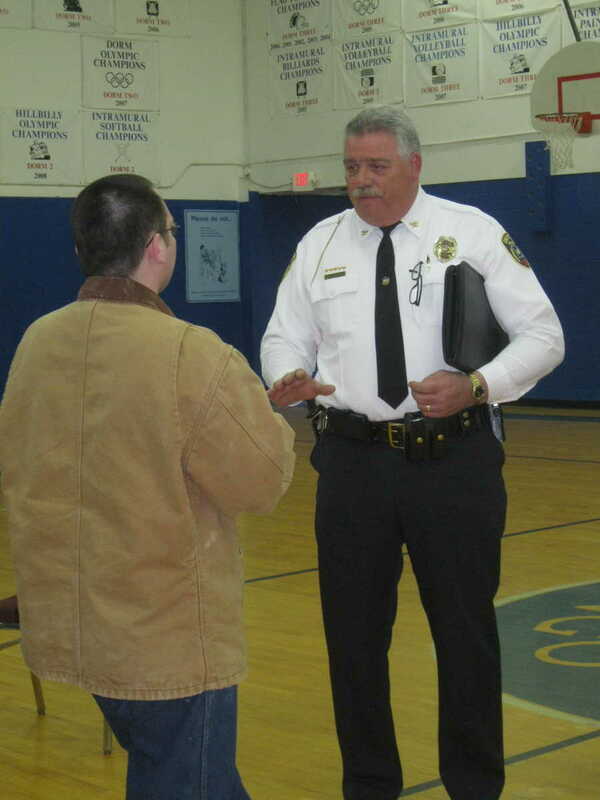 Dexter Police, Chief Sammy Stone discussing some specific student questions after his remarks at Mingo Job Corps Groundhog Job Shadow Day event. 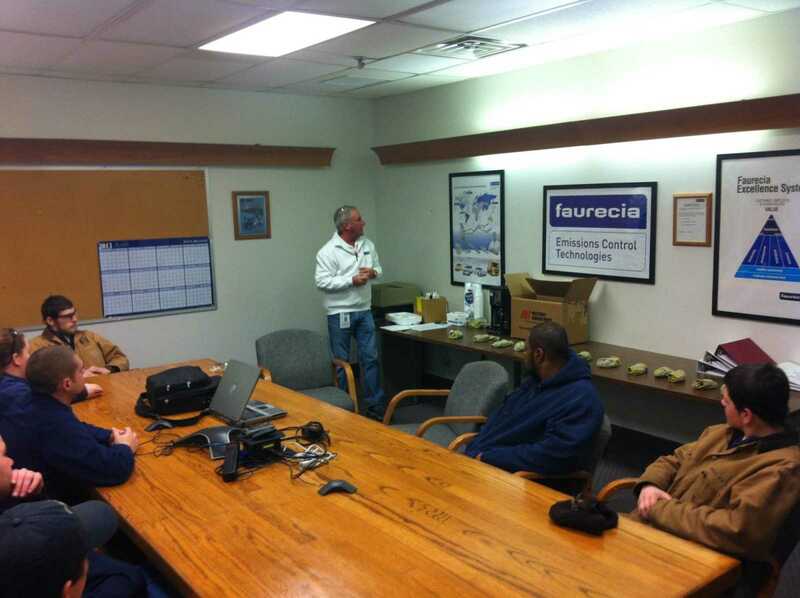 Make Fulkerson with Faurecia explaining some of the innovative ways they have improved worker safety. 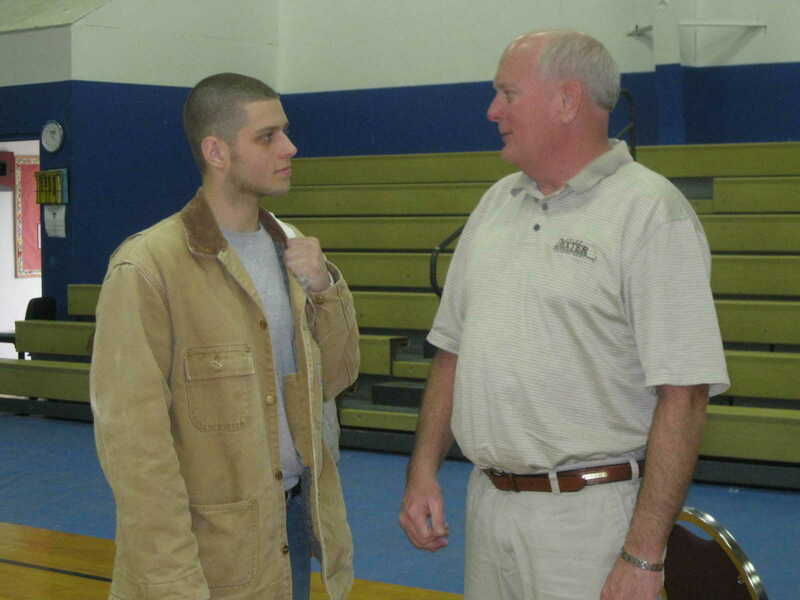 Dexter Fire Chief, Don Seymore discussing some specific student questions after his remarks at Mingo Job Corps Groundhog Job Shadow Day event.